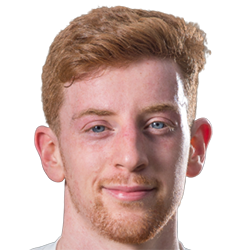 This page is used to submit and discuss edits for Dominic McGiveron in the sortitoutsi Live Data Update for Football Manager. Enabled DB 19.3 Dominic McGiveron has been transferred to FC United of Manchester. Dominic McGiveron now has a contract of £425 per week until 30th June 2019. Dominic McGiveron is now on loan to Bamber Bridge until 31st May 2019 paying 50% of wages. Disabled DB 19.3 Dominic McGiveron has been transferred to FC United of Manchester. Dominic McGiveron now has a contract of £110 per week until 30th June 2019. Dominic McGiveron is now on loan to Bamber Bridge until 31st May 2019 paying 100% of wages. Disabled DB 19.3 Dominic McGiveron has been transferred to Bamber Bridge. Disabled DB 19.0 Dominic McGiveron has been transferred to FC United of Manchester.